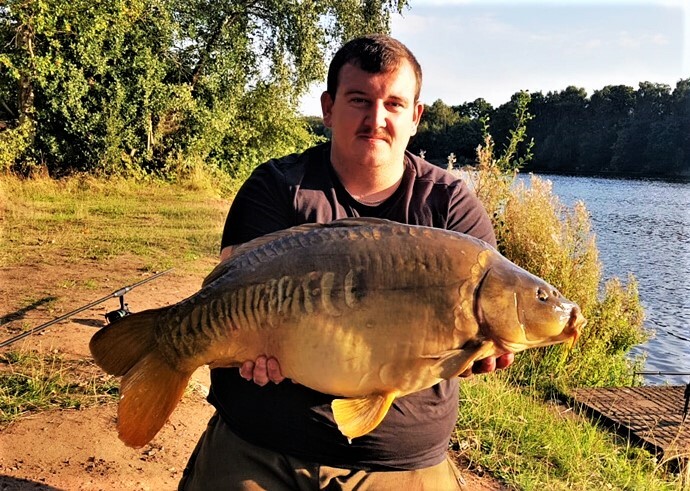 Congratulations to Tom Farr, who recently caught this cracking mirror carp from Calfheath reservoir at an impressive 20lb 5oz. The really interesting things about this fish it that we have records of it being stocked to the reservoir back in December 2005! 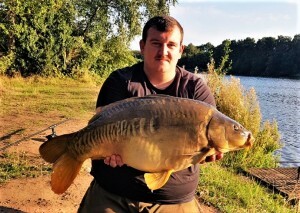 This particular carp was part of around 20+ plus fish that were stocked that averaged 9lb, this carp weighed 9lb 12oz and since then has more than doubled in size! The picture to the right is a print taken at the time of stocking (sorry about the image quality, we weren’t quiet with the digital age back then!!) and as you can see its grown considerably since then which is great news for the fishery. Well done Tom, hopefully you will catch a few more 20′s in time to come!